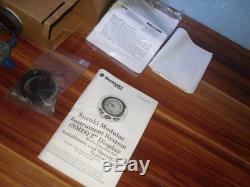 Suzuki 2'' SMIS Multi-Function Gauge 990C0-88002 LMF-200 - NEW OLD STOCK. 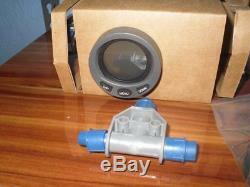 This is a Suzuki 2'' SMIS Multi-Function Gauge 990C0-88002. The gauge comes with all accessories as it is new in (open) box. IF YOU DO NOT SEE SOMETHING YOU EXPECT TO BE INCLUDED IN THE PICTURES WE PROVIDE, IT WILL NOT BE INCLUDED. In this case these displays ARE NOT included, this will be stated in our descriptions. 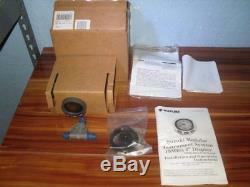 If you have ANY questions feel free to send a message or call Max Marine Electronics Inc, Pompano Beach, Florida. We always want to be transparent with our customers and fully disclose any information regarding the products we sell. We always want our customers satisfied, please help us to make that possible by dealing directly with our customer service. We always attempt to choose reliable carrier services and package items as safely and securely as possible. Rarely, an accident may happen outside of our control. We will contact the carrier and work with our buyers to come up with the best possible solution. This service takes an average of 2 weeks, but may take longer. Packages may be scanned once in the United States and not scanned again until they are delivered, or may not be scanned at all. The service is reliable, it just is not as fast and traceable as other more expensive methods. Any requests for this type of service will be ignored. 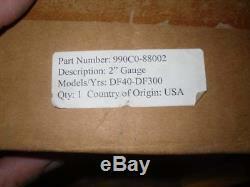 Some countries have regulations regarding the dimensions of the packages we can have delivered. Please provide all address information in English. In the event a customer needs to return an item we ask that we are contacted directly within 30 days of receiving the item. We always prefer to work directly with our customers to correct any issues with an item when possible. In some instances we will offer an extension to the 30 day return period. This applies only to units that require installation at a later date. The 90 day period begins once the product is received by our customer. Extensions are occasionally granted for items awaiting installation and are issued at our sole digression. An extension must be requested in writing and approved by Max Marine Electronics. We will make the repair process as quick and painless as possible. Warrantied items will be repaired or replaced with an item of equal value and quality. We regret having to add this, however we store all sales records, pictures of each item listed and serial numbers of the items we sell and repair. This effort is to protect interests of everyone involved. The item "Suzuki 2'' SMIS Multi-Function Gauge 990C0-88002 LMF-200 NEW OLD STOCK" is in sale since Thursday, March 15, 2018. 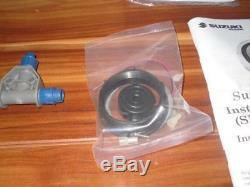 This item is in the category "eBay Motors\Parts & Accessories\Boat Parts\Outboard Engines & Components\Rigging". 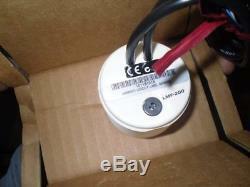 The seller is "maxmarineelectronicsinc" and is located in Pompano Beach, Florida. This item can be shipped worldwide.